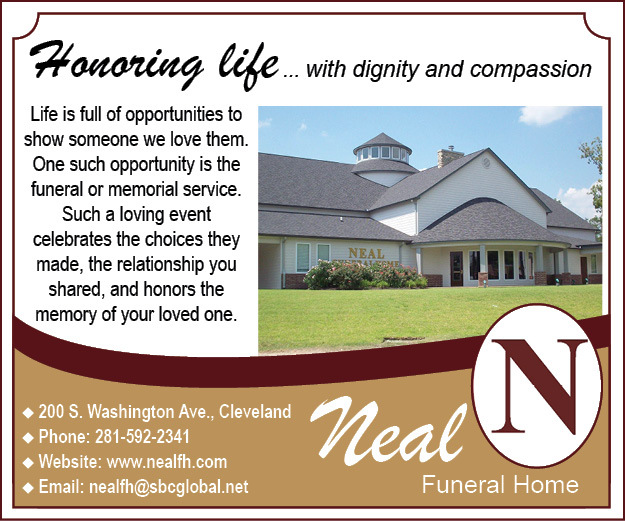 Cecil Lee Kachel, 78, of Liberty, Texas passed away at his residence surrounded by his loving family. He was born on January 31, 1941 to Guy Albert and Corine Eunice Palmer Kachel. Cecil was a loving and devoted husband, father, grandfather, great-grandfather, great-great-grandfather, brother and friend. He worked in the oilfields until the 1980’s boom and went on to work at a plant in Deer Park. Cecil was very social in Hardin and a great friend to many people. He loved his family, friends, and babies. He really just loved people in general. He was hardworking and dependable. Cecil was always willing to help others. He was protective of the people he loved. Cecil loved being outside and was very proud of his yard work. He enjoyed camping, fishing and hunting. He could also play a mean game of pool. Cecil will truly be missed by all who knew and loved him. Cecil was preceded in death by his parents; sister Wanda Cox; brothers Clifford Kachel, Kenneth Kachel, Guy Claude “Pete” Kachel; and grandson Lucas Lowe. He leaves behind to cherish his memory his loving wife of forty-three years Beth Kachel; daughter Melissa Myers and husband Ricky of Raywood; son Guy Phillips and wife Dolli of Batson; daughter Samantha Pickett and Ernie, Sr. of Hardin; daughter Stacey Bliss and husband Shawn of Shepherd; daughter Lori Beaman of Hardin; son Kevin Kachel and wife Desiree; sister Laverne Kachel of Moss Hill; brother Jerry Kachel and wife Heather of Spring; nineteen grandchildren; fifteen great-grandchildren, three great-great-grandchildren and numerous other loving relatives and friends. Friends are invited to visit with the family from 2pm-3pm on Saturday, February 23, 2019 in the chapel of Allison Funeral Service, 1101 N. Travis Liberty, Texas 77575. A memorial service will be held at 3pm on Saturday, February 23, 2019 in the chapel at Allison Funeral Service. Reception to follow at the VFW, 1520 N. Main St., Liberty, Texas 77575. In lieu of flowers, the family request that contributions be made in Cecil’s honor to the charity of your choice.